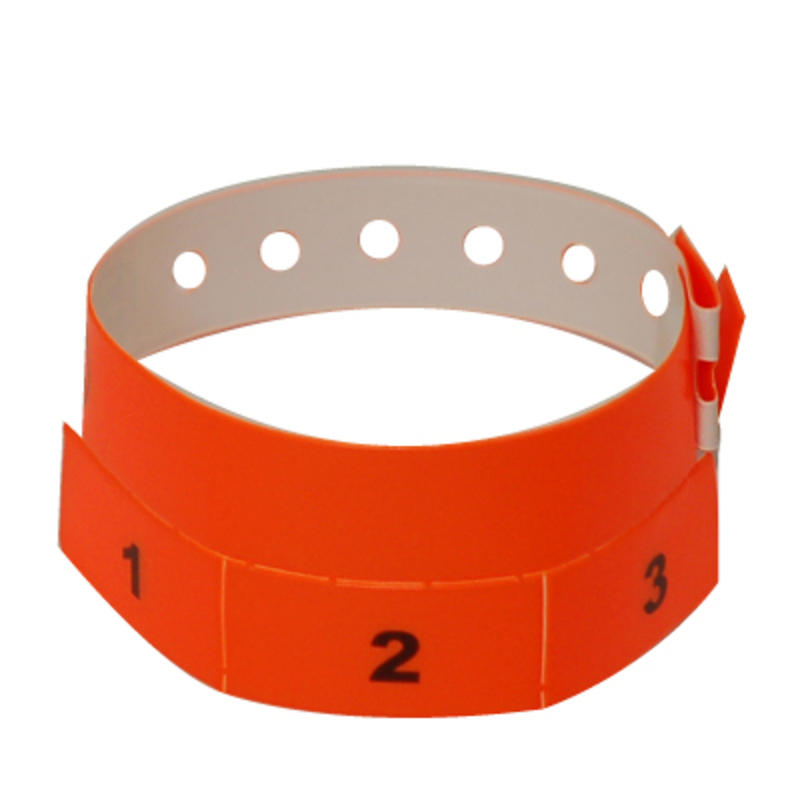 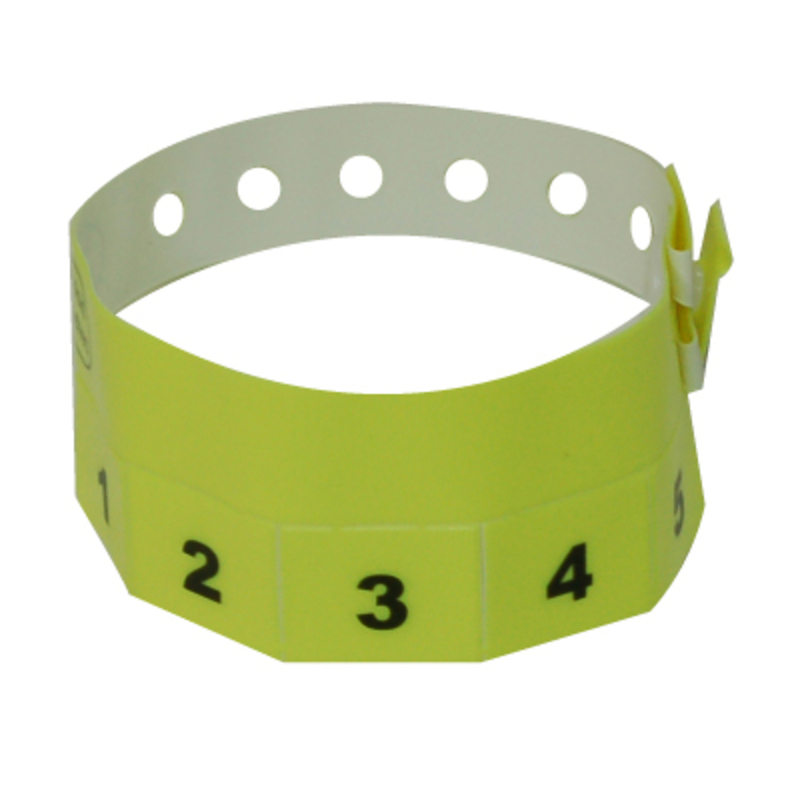 Wristbands with removable tabs or detachable stubs as they are sometimes known are useful at events when admission includes a number of items. 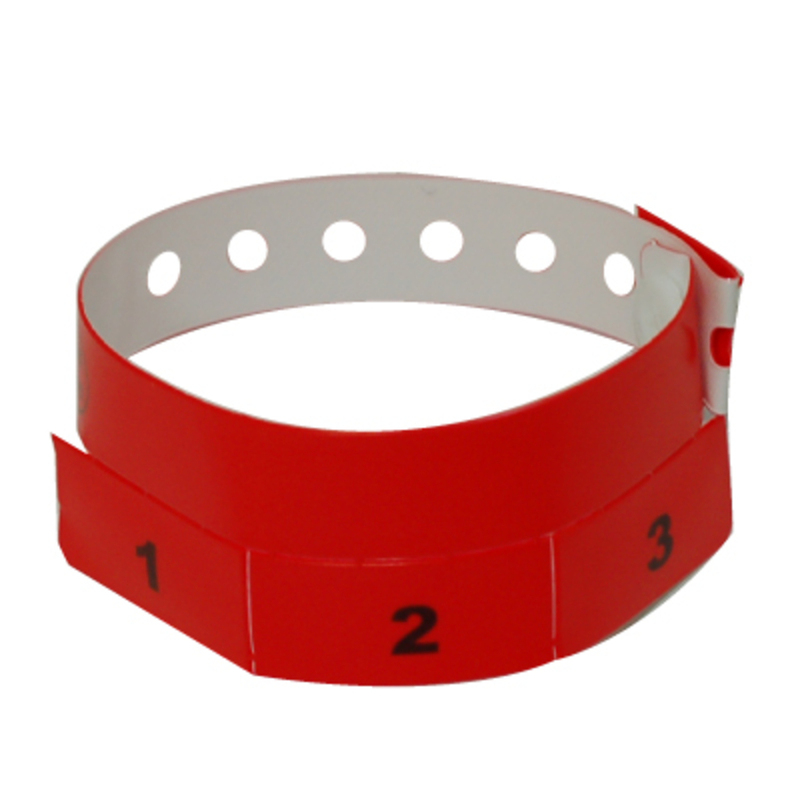 Food items, beverage items or rides at a fair or carnival are popular types of event that use wristbands with tear-off tabs. 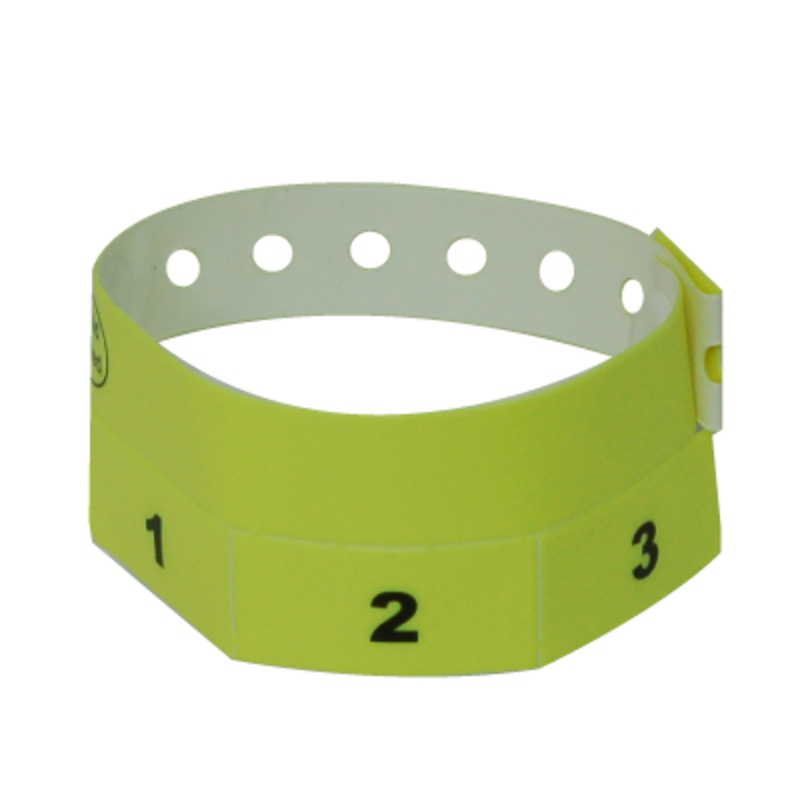 The tabs/stubs are exchanged at the event for the item. 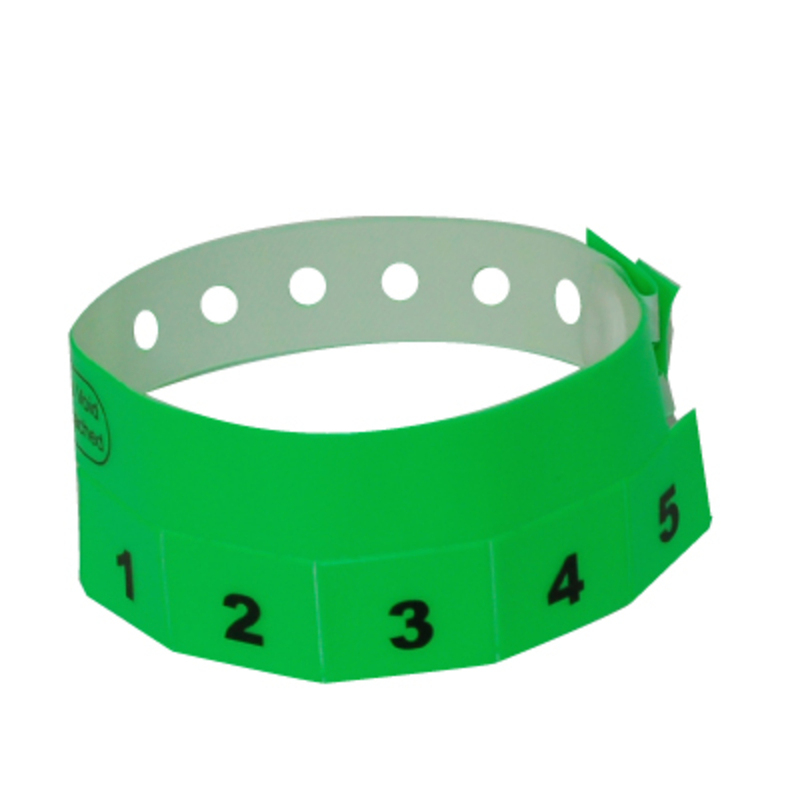 It's a great way to keep track of how many items each person is supposed to receive. 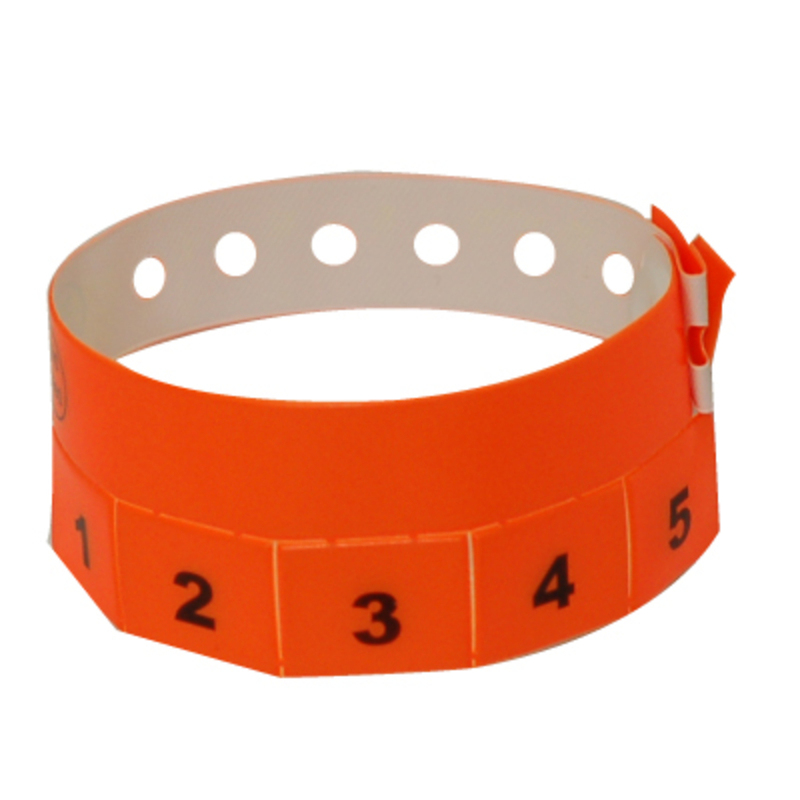 While our stock wristbands all just have numbers on the stubs/tabs you can customize them so that the tabs read "FOOD" "RIDE" "DRINK" or whatever you choose. 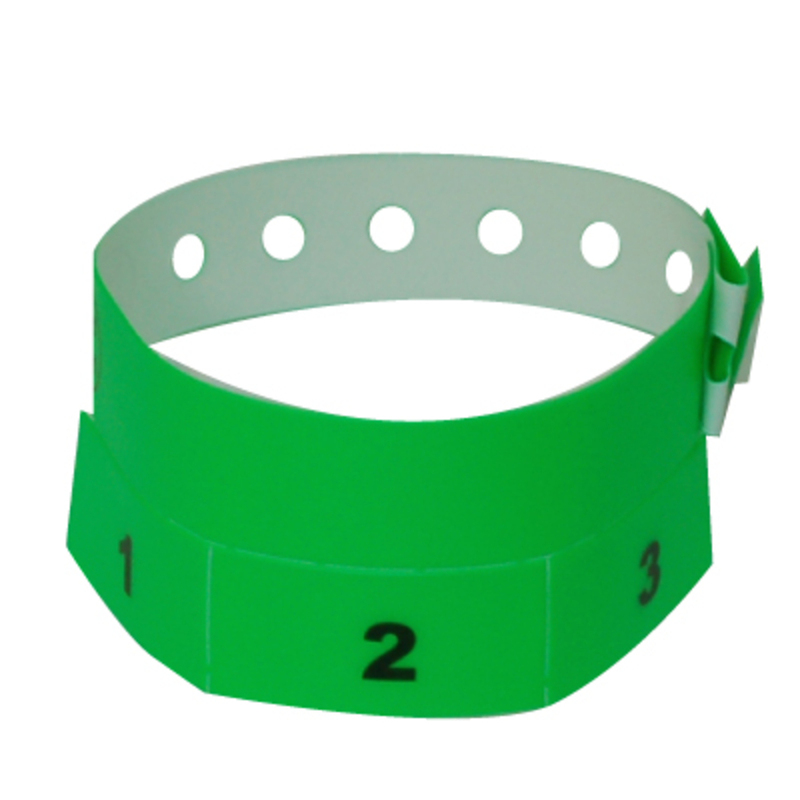 You can also add your own logo or images.